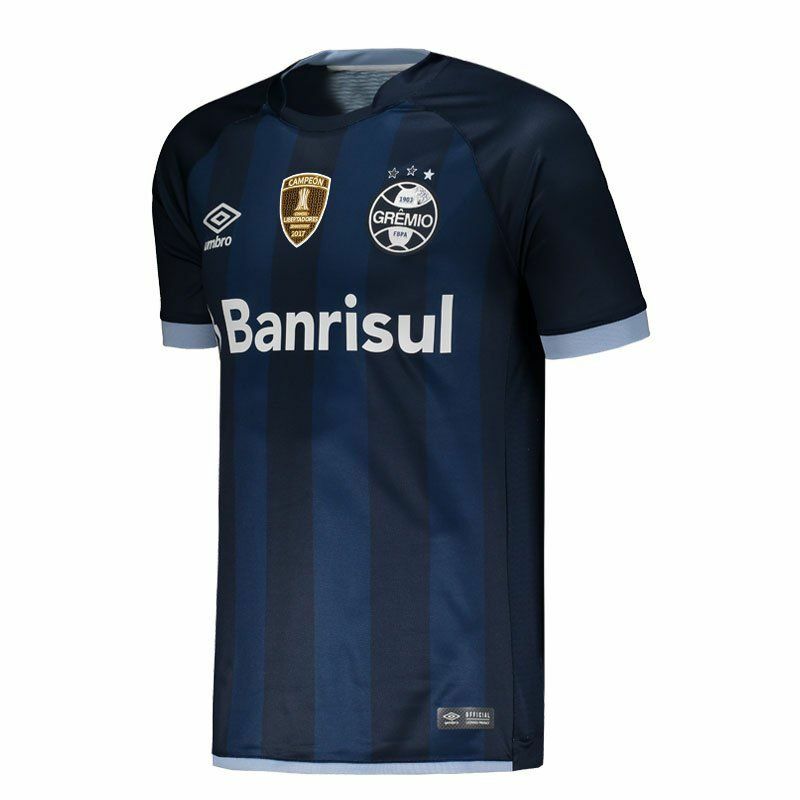 Umbro presents the third Grêmio shirt for 2017, the right choice for the Pampas Tricolor fans to wear their passion for the club in games and day to day. The piece is made of lightweight polyester and features breathable mesh fabrics, offering comfort and More info. 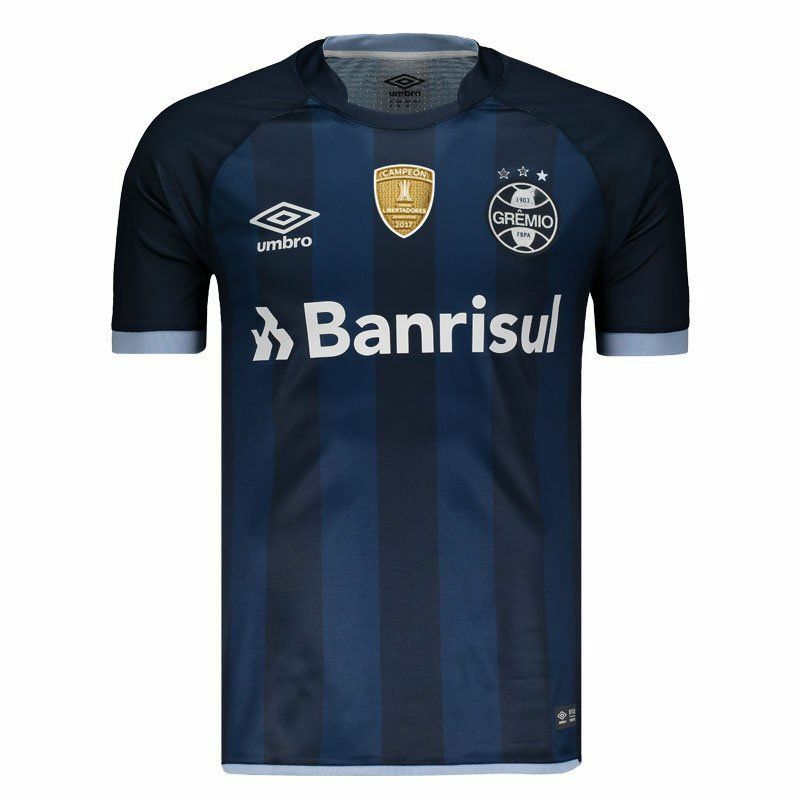 Umbro presents the third Grêmio shirt for 2017, the right choice for the Pampas Tricolor fans to wear their passion for the club in games and day to day. The piece is made of lightweight polyester and features breathable mesh fabrics, offering comfort and freedom of movement. 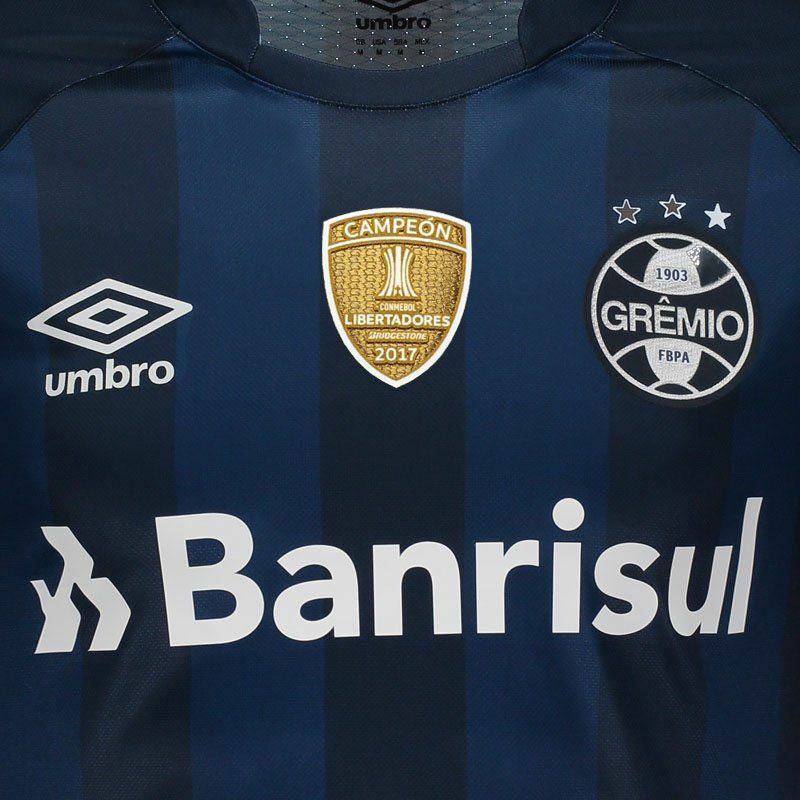 Its design was inspired by the tradition of the Tricolor Gaúcho, presenting predominantly navy blue with vertical stripes in a lighter shade of color, in addition to the raglan model sleeve and cuff of the sleeves that has corrugated finish and light blue tint. In addition, the team badge appears on vinyl on the left side of the chest, as well as the logo of the supplier brand on the opposite side. 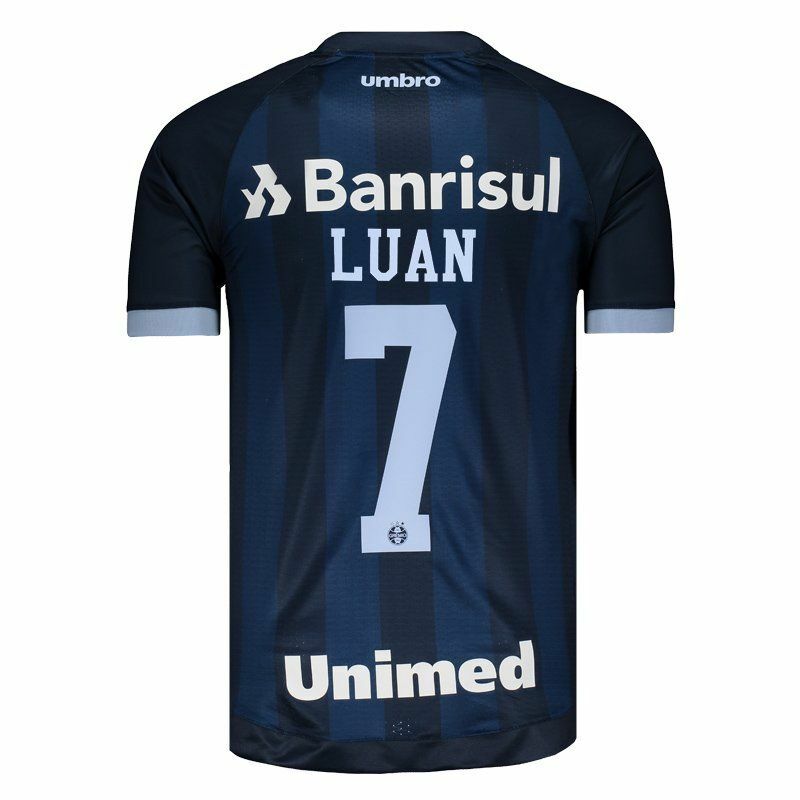 There is also sponsorship stamped and name and number of the player Luan on the back, as well as the Libertadores Champion's patch. Finally, it features a crew collar with a distinct cut, adding even more charm to the mantle. With couture fabric, the shirt can not miss in the wardrobe of the fanaticist fanatics! Luan Guilherme de Jesus Vieira, better known as Luan, is a Brazilian footballer who acts as an attacker. He began his career at age 8 as an athlete on the futsal team. He went on to field football only in 2012. In 2016, he was part of the Olympic team that won gold for Brazil.